Recently, an Induction Committee has been set up with Engr. Segun Adedeji as its Chairman. The Committee is made up of the Honorary Secretary, Engr. Alex Ogedegbe, Engr. 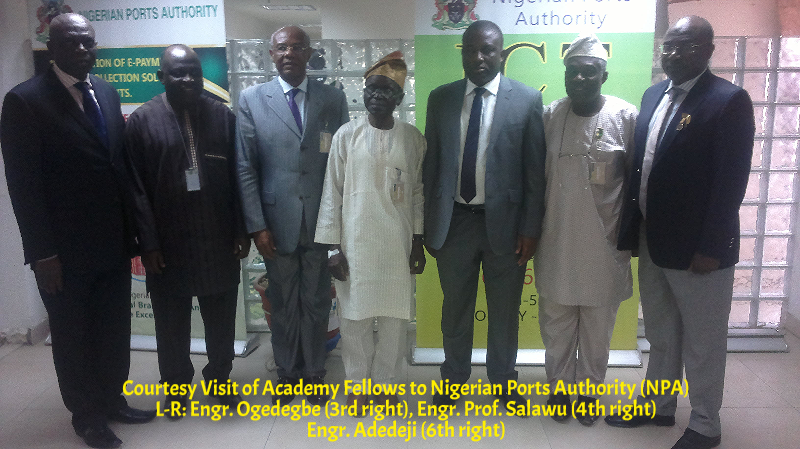 Prof. Adetokunbo Denloye and Engr. Prof. Funsho Falade. The Committee is saddled with the responsibility of ensuring that the investiture of the 9th President of the Academy, the Academy annual lecture, the induction of new Fellows and the life achievement awards take place successfully. So far, the activities of the committee are on course. Programmes had been drawn to facilitate its fruition while mails are frequently dispatched to concerned Fellows and individuals to be part of this annual event. In the defining moment of the Academy delve into the resilience, consistency and contributive strength of Fellows during important events vide their participatory roles, as such this month focus on an engineer whose civilian prowess was greatly embraced by the military leadership and indvertently earned him an accomplished, selfless hall of fame to Engr. O. A. Ige, MFR. On the international scene, NASA Office of Education's efforts to improve science, technology, engineering and mathematics (STEM) teaching and learning in the United States is linking students directly to astronauts aboard the space station. The Joint Executive and Council Meeting of the Academy scheduled to hold on Thursday, 5th May, 2016 has been rescheduled to Wednesday, 24th May, 2016. Venue and time remain the same. Engr. Olawale Adeniji Ige was born on the 13th of October, 1938, in Ogbomoso in Oyo State. He attended Baptist Boys High School, Abeokuta, Ogun State, between 1951 and 1956, where he received his West African School Certificate. In 1961, Engr. Ige proceeded to the Polytechnic, Regent Street, London, where he received a Diploma in Electrical Engineering. He became a graduate of the Institute of Electrical Engineers in 1965. After a stint in the UK, Engr. Ige returned to Nigeria as a chartered Engineer in 1967 and joined the services of Federal Ministry of Communications where he rose through the ranks to become the Director General in 1989. Engr, Ige was a two-time Federal Minister. Between 1990 and 1992 he was Honourable Minister for Communications. In 1993, he was again appointed the Honorable Minister for Communications, Transportation and Aviation. At the end of 1993, Engr. Ige settled down to private practice. He is presently the Chief Executive of Informatics Generals & Electric, a company that specializes in Telecommunications Consulting. Engr. Ige who was the first Civilian Chairman of NITEL, is currently the Chairman of the Board of Trustees of the Nigerian Internet Group and also on the Board of the Nigerian Communications Commission. He was decorated with a national honour in 1979 as a Member of the Federal Republic (MFR). Engr. 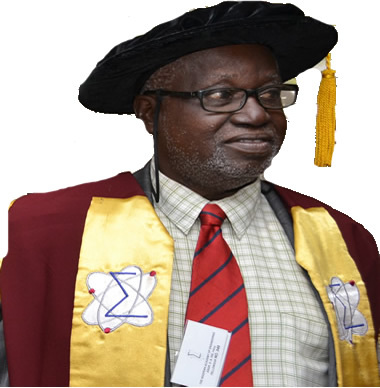 Olawale Ige is a Fellow of the Nigerian Society of Engineers and Academy of Engineering. He is happily married with children. Students in Dallas will have the opportunity to speak with two astronauts living and working aboard the International Space Station at 11:15 a.m. EDT Tuesday, April 26. The 20-minute, Earth-to-space call will air live on NASA Television and the agency's website. The event will be hosted by the School for the Talented and Gifted at the Yvonne A. Ewell Townview Magnet Center. Students from the Cedar Hill, Dallas, DeSoto, Duncanville, Grand Prairie and Lancaster Independent School Districts also will participate. 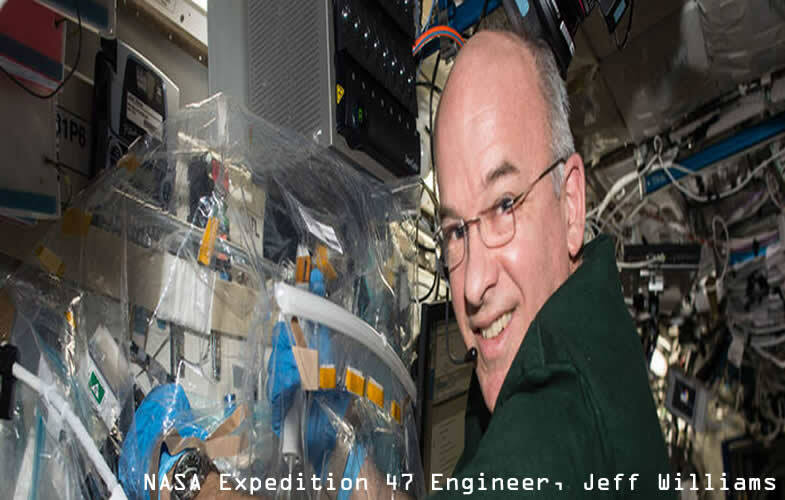 Expedition 47 Flight Engineers Jeff Williams of NASA and Tim Peake of ESA (European Space Agency) will answer questions from the students. Williams launched to the space station on March 18 and is scheduled to return in September. Peake launched on Dec. 15 and will return in June. Rep. Eddie Bernice Johnson of Texas will begin the downlink with a voice check call-up to the station. Rep. Johnson is the first African-American and first female ranking member of the U.S. House Committee on Science, Space and Technology.